I am an Assistant Professor in the department of Writing, Rhetoric, and American Cultures at Michigan State University. My research focuses on writing programs, and am specifically interested in cultivating student-centered assessment models, and building writing programs that are responsive to students, faculty, and local communities. Currently, I am studying how students and instructors perceive the helpfulness of their writing courses. Additionally, I have worked with the Writing Center at Michigan State, and the Lyman Briggs Residential College to build and evaluate a writing studio for Briggs’s students. I also host a music podcast of original mixes, reflecting musical interests in jazz, soul, funk, electronic, and instrumental music. Gomes, M. and Ma, W. (under review) “Student expectation audit and mapping: Using qualitative and quantitative methods to understand outcomes for students.” Writing Program Administration. 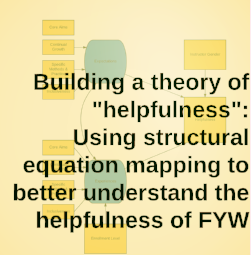 Gomes, M. and Ma, W. (in progress) “Building a local theory of helpfulness: Using structural equation mapping to better understand the helpfulness of First-Year Writing.” Assessing Writing. Gomes, M. (2018). “Terms of participation: Using collaborative assessment to achieve more just writing classrooms.” In V. Del Hierro, I. Baca, and L. Gonzales. Community Action for Social Justice: A Digital Archive. Parlor Press. Gomes, M. (2018). “Writing Assessment and Responsibility for Colonialism’.” In M. Poe, A. B. Inoue, and N. Elliot. Writing Assessment, Social Justice, and Advancement of Opportunity (pp. 203-227). Fort Collins, CO: The WAC Clearinghouse and University Press of Colorado. Banks, W.P, Burns, M.S., Caswell, N. I., Cream, R., Dougherty, T. R., Elliot, N., Gomes, M., Hammond, J.W., Harms, K. L., Inoue, A. B., Lederman, J., Molloy, S., Moreland, C., Nulton, K. S., Peckham, I., Poe, M., Sassi, K. J., Toth, C., and Warwick, N. (2018). “The braid of writing assessment, social justice, and the advancement of opportunity: Eighteen assertions on writing assessment with commentary.” In M. Poe, A. B. Inoue, and N. Elliot. 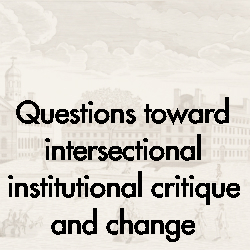 Writing Assessment, Social Justice, and the Advancement of Opportunity (pp. 385-431). Fort Collins, CO: The WAC Clearinghouse and University Press of Colorado. Milu, E. and Gomes, M. (2017). ‘Hay un tiempo y un lugar para todo’: Students’ Writing and Rhetorical Strategies in a Translingual Pedagogy.” In S. Blum Malley, A. Frost, J. Kiernan. Practical Pedagogies: Engaging Domestic and International Students in Translingual & Translocal Writing. Logan, UT: Utah State University Press (forthcoming). Gomes, M. (2014). “A review of Cross-Cultural Technology Design: Creating Culture-Sensitive Technology for Local Users by Huatong Sun.” Journal of Business and Technical Communication, 28(3), 401-404. Gomes, M. (2011). 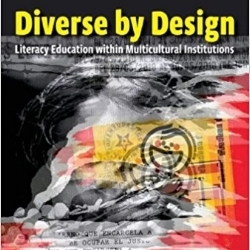 “A review of Diverse By Design: Literacy Education within Multicultural Institutions by Christopher Schroeder.” Composition Studies, 39(2), 171-174. Gomes, M. and Turner, H. (2015). “Lighten Your Load (Part 1): Eight Ways to Make Individual Feedback More Efficient,” with Heather Turner. Inside Teaching MSU. Turner, H. and Gomes, M. (2015). 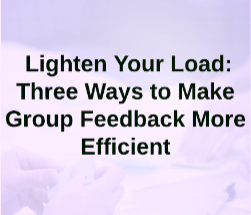 “Lighten Your Load (Part 2): Three Ways to Make Group Feedback More Efficient,” with Heather Turner. Inside Teaching MSU. Gomes, M. and Turner, H. (2015). “Lighten Your Load (Part 3): Planning for More Efficient Feedback Next Semester.” Inside Teaching MSU. Students have goals for their own educational lives and work; my aim is to offer pedagogical opportunities that facilitate students' educational goals. Students and I collaborate to generate learning goals, assignments, evaluative criteria, and responses to others' work. Mechanisms of power within a classroom should be laid bare: in my classrooms, we need to have reasons for the goals we set; I need to have reasons for the work I assign; we need to have reasons for assessments we generate. Transparency also allows everybody to better anticipate and understand the varieties of consequences that may exist when we rationalize classroom activities in any particular way. The feedback from the instructor was phenomenal. The instructor's feedback helped me catch the main point in [my] writing. He was good at being specific when giving feedback. I liked how he didn't give us specific grades on each project but feedback on how we did and how to make it better to meet the goals of the assignment. The table below includes Student Evaluation of Teaching (SET) scores from Fall 2015-2017, in which I taught both Basic Writing and mainstream first-year writing (FYW) courses in my institution’s FYW program. The scale used is (1) superior; (2) above average; (3) average; (4) below average; (5) inferior. The following scores indicate students at my current institution find my overall classroom performance between superior and above average. Additionally, I have included standard deviation (SD) values, to show areas of agreement. For example, students substantially agreed the classroom was inclusive, and invited multiple viewpoints. Additionally, students substantially agreed that my feedback and attention to learning was timely and learning.